If you’ve ever wondered why a day out in the summer heat leaves you feeling so drained, there are actually several biological explanations and ways to avoid the summertime slump. 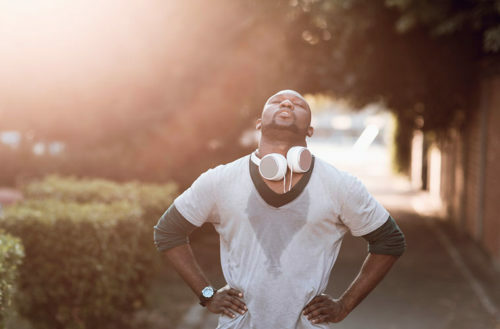 Foremost, heat makes you sweat and sweating draws out your body’s water and electrolytes (nutrients that regulate our nerves and muscles, the so-called “electric tissues” of the body). Water also keeps the body running — it keeps the blood thin and flowing, nerve cells wet and conducting energy and the organs robust and actively eliminating waste. So when the body lacks water and electrolytes, it’s less able to eliminate waste or generate energy, leaving you feeling sluggish and weighed down. Dehydration also makes your blood thicker, making your heart pump harder to keep it flowing, something which gradually exhausts you, even if you’re sitting still. 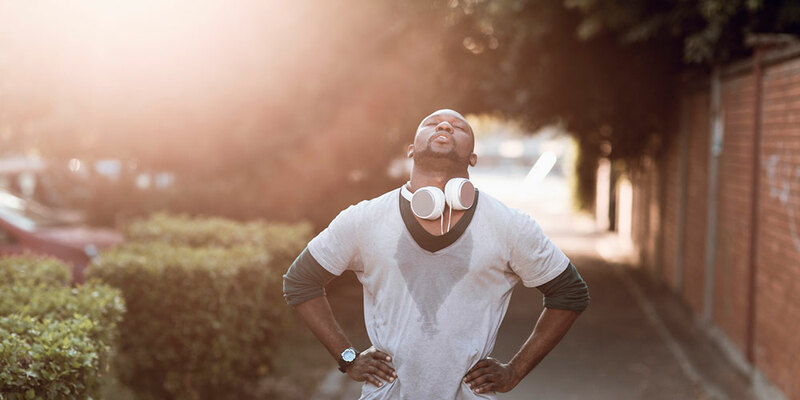 Sogol Javaheri, M.D., an internist at Brigham and Women’s Hospital in Boston, says that when it’s hot outside, the body works harder to maintain its usual internal temperature of 98.6 degrees Fahrenheit. And if you have pale or light skin, that also leaves you susceptible to sunburn, a superficial inflammation of the skin caused by the sun’s ultraviolet rays. The constant irritation of sunburn raises the body’s temperature and draws water away from the blood in an attempt to heal, making it even harder for the body to stay hydrated and energized. Summertime fun sometimes involves drinking alcohol, playing sports or camping, but the dehydrating effect of booze and the physical exhaustion caused by physical activity can all add to tiredness. Plus, spending all day in the sun makes the body suppress its production of melatonin (a hormone that helps induce sleep), meaning that when the sun goes down, the body starts producing melatonin, making people feel more tired than if they’d just stayed indoors all day. Luckily, there are several easy ways to avoid being quickly exhausted by the heat. Foremost, stay well-hydrated and occasionally enjoy a salty snack to help replenish the body’s electrolytes. Remember that the sun’s ultraviolet rays hit hardest from 10 a.m. to 3 p.m., meaning that you’ll last longer if you go outdoors in the late afternoon or early evening. Lastly, use suntan lotion to avoid sunburn and use bright indoor lighting if you want to stay energized at home after a long day in the sun.